Georgia’s unemployment rate fell to 9.0% in March, but that’s still really high. 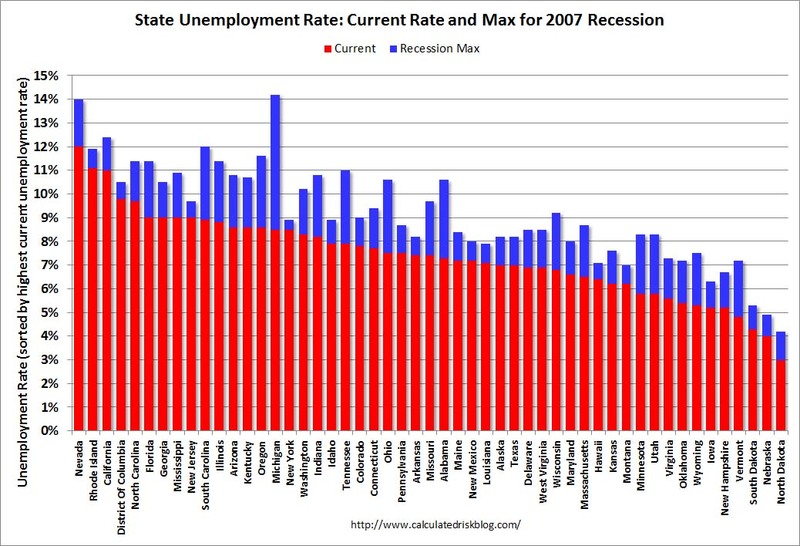 It’s going to be several years before the state recovers all the jobs lost during the recession. That number comes from a survey of households, but a separate survey of payroll establishments showed much of the state still stagnating when it comes to jobs. I have more to say about that in my City Talk column this coming Sunday in the Savannah Morning News. This morning, we got the monthly data for March for all states and regions, which showed lower unemployment rates in 30 states, while 12 had no change, and 8 increased. Regional and state unemployment rates were little changed in March. decreases from a year earlier, while New York experienced an increase. but was 0.7 percentage point lower than in March 2011. South Central (-1.5 percentage points). 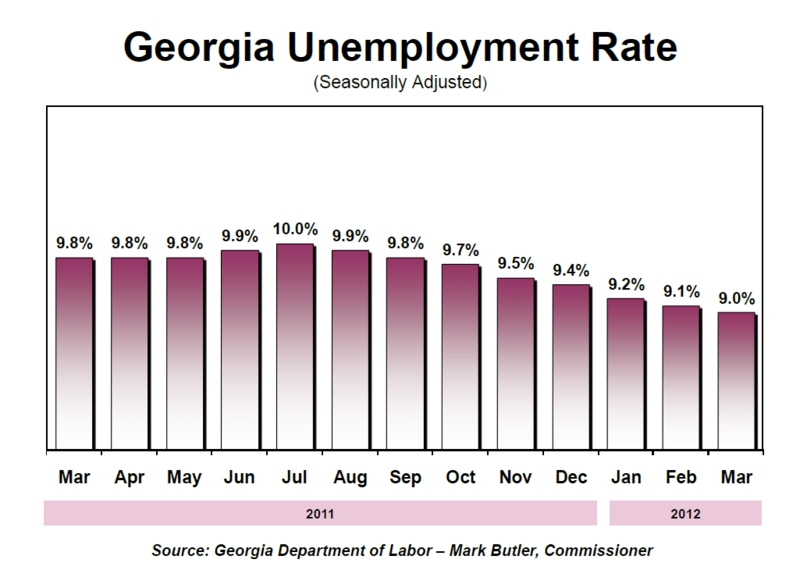 As you can see, despite Georgia’s improving numbers, we’re still 7th worst in terms of the unemployment rate.